Pretty big news coming out of Blizzard’s neck of the woods. The long-awaited 2.0.1 patch for Diablo 3 has gone live, which includes the new Loot 2.0 system, a major overhaul of the game’s itemization. Let’s cut right to the chase – EA Mythic’s new Dungeon Keeper mobile game is a Pay-To-Win abomination that will slap you in the face harder than you slap your ingame minions. 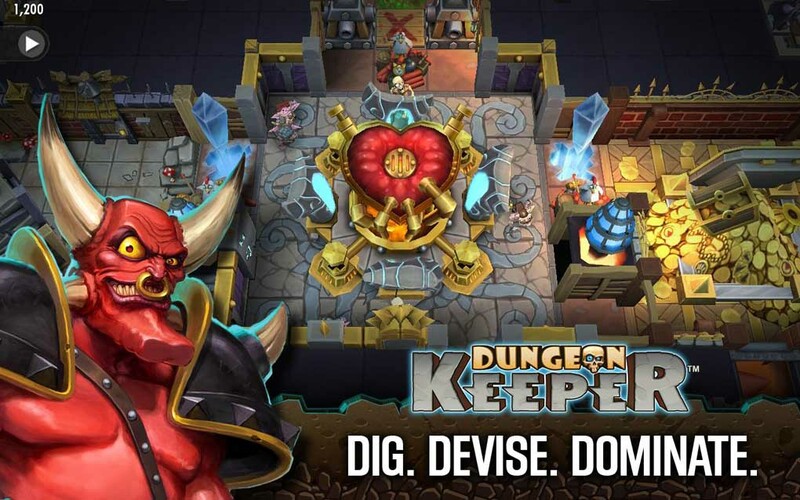 Rather than say what has already been said endlessly about the game itself across all corners of the internet lately, there’s an excellent article over at Kotaku.com that I will link below about EA’s new mobile game for Apple and Android devices that they branded as a “Dungeon Keeper” title to shamelessly capitalize on the nostalgia of an entire generation of gamers. You can read this for some additional background on EA’s latest gaming travesty. Ordinarily I don’t bother much with mobile gaming except to pass the time while commuting, but like many of us, ahem, “older” gamers, the original two Dungeon Keeper games rank high on my short list of favorites I played as a kid. They were basically my introduction to “god games” which is the genre I enjoy most, second only to flightsims. It was only after learning that EA released a new Dungeon Keeper game and hearing the ensuing outrage over it that I felt compelled to even try it. Now I understand, my friends. Now I understand. First EA completely shat the bed last year with their failed “reboot” of SimCity, another dearly loved franchise, and now this? Electronics Arts is already on the fast track to earning The Consumerist publication’s dubious “Worst Company In America” award for the third year in a row, and not without good reason. Not that their chances were in any doubt to begin with, but this app may just clinch it for them. The sheer balls of EA to design a game in this manner is what has sparked so much hostility over it, and I have to agree, the backlash is well-deserved. This game fully represents what is fundamentally eroding the gaming industry. The primary and most egregious complaint is an endless supply of forced timeblocks, or “paywalls”, at every step of your progression. These can only be overcome by either waiting the required number of hours, or by paying cold hard cash. It’s not a new concept, except that in this game, nearly everything you do in the game forces you to wait. Only the most basic functions are completed quickly, and that’s only if you happen to have any free minions available that aren’t busy with other painfully long tasks. Everything else? Be prepared to lay your device down for another several hours. For two weeks now, my pattern is basically to log on, tap 5 or 6 blocks, replace yet again all the single-use traps that have been sprung by other players raiding my dungeon and stealing my resources, then log off. For anyone who refuses to spend money on this game, this is about as compelling an experience as you’re going to have. No joke – it practically takes more time for the game to load up on a speedy Nexus tablet than my average session takes. Mind you, other games have successfully employed a similar mechanic, like Candy Crush Saga for example. The difference is, I can play Candy Crush Saga for more than 30 seconds before the game tosses up another, “pay up or wait several more hours” roadblock in my face. At least Candy Crush Saga lets you play a respectable 10-15 minutes, sometimes more depending on how well you do, before you might hit a forced timeblock. Additionally, in most games that have in-app purchases, once you’ve shelled out your cash, you actually get to continue playing the game, often with even more features available to you. 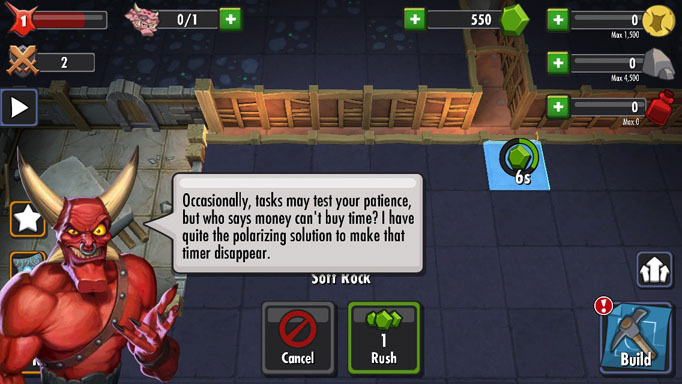 In Dungeon Keeper, you pay to overcome time obstacles, until you (quickly) run out of the ingame currency and attempt another task, which throws up the next timeblock. Rinse and repeat. The Horned Reaper is an evil monster who treats his supporters like crap. EA should adopt him as their mascot immediately. So basically your options are to play the game in short 1-3 minute bursts endlessly until you either grow bored of your glacial progress, or you lay down money to actually get anywhere (momentarily, at least). Not that there isn’t any fun to be had here, but you’ll need some serious patience. Sure, you can raid other dungeons – with minions you have zero control over – which lasts a couple of minutes. However, you inexplicably “spend” your minions in the process, even if they survive the raid, then have to spend gold getting them back. Meanwhile, other players stomp all over your poorly equipped F2P dungeon, and steal the resources you’ve been patiently trying to save. Resources, I might add, that you’ll need to make any progress whatsoever if you’re not spending actual money on the game. EA, do you see the problem we have here? For the sake of this blog post, I threw down $10 to buy more gems, the in-app currency. The money I spent did not improve the experience one bit, nor did it make me any more of a competitive foe against other players. A few incremental upgrades and one extra minion, and the money was already gone. In the immortal words of Peter Griffin, “And now we play the waiting game”. Wait, you’re kidding me, right? I just shelled out more money than most apps cost to buy outright these days, and I still have to wait hours for each task? Shameful display, EA. Shout out to my Shogun 2 peeps. EA’s senior producer Jeff Skalski flat out denies that Dungeon Keeper is a Pay-To-Win game in his shameless interview with TabTimes. But Jeff, isn’t this exactly what Pay-To-Win means? That you can’t get anywhere in the game without coughing up some cash? That you don’t stand a snowball’s chance in hell against other players who have spent money on the game? That’s precisely what it means. Honestly, I would have more respect for you guys if you had simply named the game “Money Grab” and been done with it. The real shame of it is, they really could have had something here, but instead EA Mythic chose the path of greed over delivering something worthwhile to fans of the original series, or to anyone for that matter. Skalski’s denial over the game’s core philosophy is almost comical. He sounds like the Iraqi propaganda minister “Baghdad Bob” who cracked everyone up in 2003 by repeatedly insisting that Iraq was winning the war against invading U.S. forces. Meanwhile, the entire city of Baghdad was in flames in the background behind him, and every tank belonging to the so-called elite Republican Guard was a smoldering husk at the bottom of a smoking crater. SNL had a pretty funny skit depicting that guy. 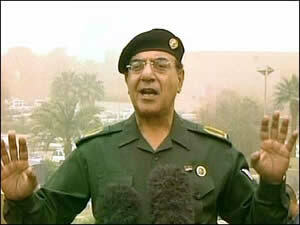 Skalski’s public relations strategy is pretty much the same as Baghdad Bob’s – admit nothing, deny everything. There’s a pretty good critique of his interview here on Forbes.com. Plain and simple, it’s a sin to call this game “Dungeon Keeper”. Even Dungeon Keeper’s original creator, the famous Peter Molyneux, has already called it “Ridiculous”. Metacritic’s user score for the game, rated on a scale of 0-10, currently sits at an astoundingly bad “0.3”. The only positive scores seem to be from gaming sites with paid advertising, so you don’t exactly need a sliderule to figure that one out. Read the user comments for some additional comedy. But before you go, I will say this – before you even consider spending a dime on EA’s pay-walled disgrace, I strongly recommend that you head over to GoG.com and purchase Bullfrog’s original Dungeon Keeper 2 instead. For a guy who admittedly has a hard time playing older games that have become a bit long in the tooth, I’m about two-thirds of the way through the campaign now, and I have to say that DK2 has held up surprisingly well. As for those old reviews saying the game has stability issues on Win7, GoG must have already fixed those issues at some point. On a Win7 64-bit PC, I’ve only had a single crash in several hours of playtime, and I’m having a blast with it. Money well spent. Why pay someone else to capitalize on your nostalgia with a greedy, empty, soulless product? For about $6, you can feed your own nostalgia with the very same game that earned your nostalgia in the first place, by providing a deeply satisfying level of entertainment. The original Dungeon Keeper 2 will indeed remind you of the good old days of gaming, while bringing back fond memories with a long lost friend. Not really my type of game, but it looks tremendous, early alpha reviews were positive, and there’s certainly enough excitement surrounding it for me to think it deserves to be mentioned here. The Titanfall Beta is coming tomorrow, February 14th, to Xbox One and PC. This is a closed beta, and you will need to submit an application here to be considered for it. Titanfall is the first next-gen shooter that combines pure adrenaline, wall-running, double-jumping action with powerful, fast-paced titan warfare to set the new bar for online multiplayer gameplay. The Beta will have two maps and three Titanfall modes, including the newly announced mode “Last Titan Standing”. Titanfall for Xbox One and PC will be available March 11, 2014 in North America and beginning March 13, 2014 in Europe. Titanfall for Xbox 360 will be available on March 25, 2014 in North America and beginning March 28, 2014 in Europe. Being primarily a gaming and entertainment blog, I just had to dig up this video of mine and share it. I don’t do much on YouTube, mostly because the games I play with my buddies are usually strategy games which can take hours, and for solo play I’m all about sims, neither of which usually make for exciting YouTube videos of any reasonable length. However, I recorded this replay from Combat Mission: Battle for Normandy (CMBN) last year out of sheer disbelief – and to save for posterity one of my most humiliating moments in nearly three decades of wargaming. The complexity of Combat Mission’s ballistic modeling is famous for its real-life fidelity, taking into account everything from muzzle velocity to armor slope and thickness. 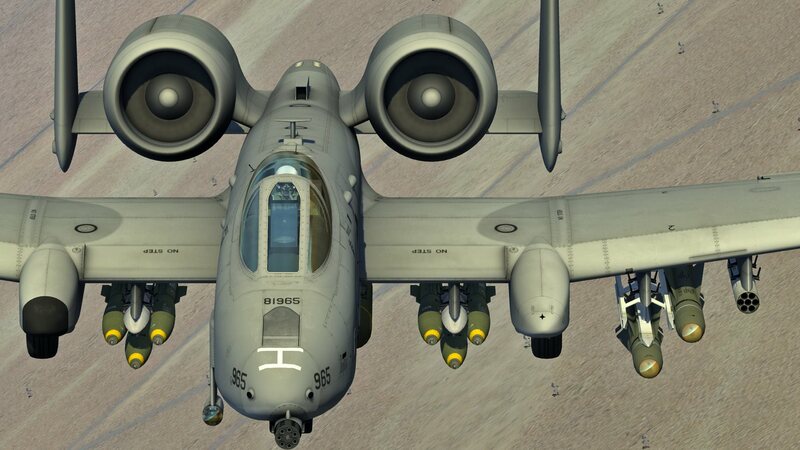 This is no arcade game or run of the mill RTS…every bullet and shell is modeled in sophisticated detail, from the moment it leaves the barrel, through its parabolic flight, to its impact on the target. It really is a simulation, which is probably why it’s been my favorite squad-level land combat sim for the last decade. If it couldn’t happen in real life, it couldn’t happen in Combat Mission. That’s what makes this replay video all the more unbelievable. In short, I’m playing a tough mission in CMBN called “Carbide Carbide” where U.S. forces are attacking a treacherous and heavily defended German town. After a grueling fight, my men have pushed far into the town, and now have the enemy on the run. All that’s left is assaulting house-to-house to clean up the stragglers who are cowering under heavy fire, and drive them out of the town once and for all. After losing this mission at least 3 or 4 times before, victory is finally within my grasp. I could just taste it. Just as I’m gathering the rest of my forces to move in and support the assault teams to deal the killing blow, they happen to bunch together and cross paths as they move through a narrow gap in the hedgerows. At that very moment, a German PAK antitank round slams hard into one of my Shermans. If you look closely, just after the Sherman on the right fires, you can see a tiny “puff” down the road in the distance as the PAK fires from clear across the map in what can only be described as a “one in a million shot”. No doubt that gun crew deserved the Iron Cross that day. I call it one in a million because the resulting catastrophic explosion results in the loss of both Shermans, a Jeep, and a staggering 26 men killed. All from a single round. I must have sat there with my jaw hanging open for a good 5 minutes before even had the heart to watch the replay again and see exactly how it happened. I’ve suspected it for a long time, but I finally have conclusive proof that computers are in fact sore losers.